DodgeDurango.net is a friendly community dedicated to the Dodge Durango. Our goal is to be the place to go to when you have Dodge Durango questions, problems or would just like to discuss it in general. To keep the place friendly, we ask that every new member post up an introduction thread letting us know a little bit about themselves, their current (and future) cars, trucks or any type of vehicle. Please help us keep this site friendly and informative! Thanks in advance. Hi Wicked, i'm a 26 year old disabled man and I just bought my mom a 1999 dodge Durango. I wanted to know a little bit more of what people are doing to there Durango's. Welcome ryeguy45! 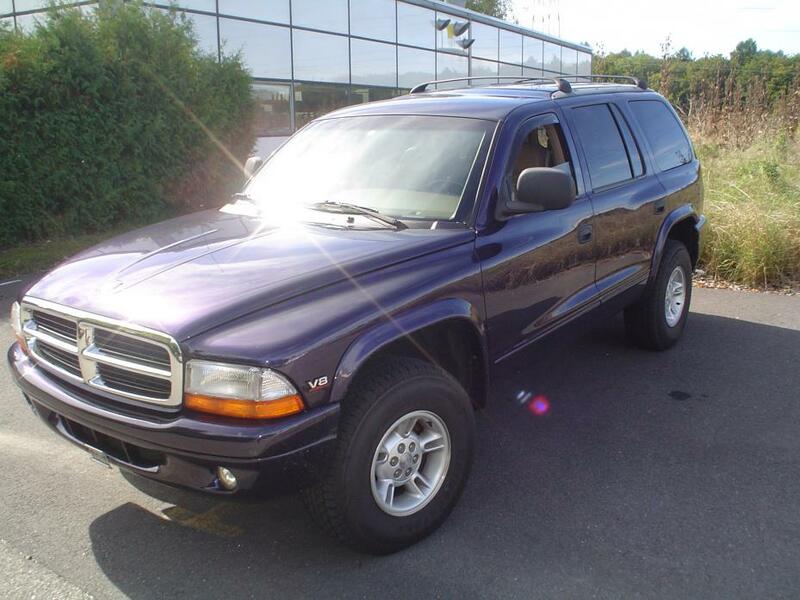 You've come to the right place for info on the '99 Durango Enjoy the forums! We have had folks go in any number of different styling adventures with the 99 D. You're in good hands here. I have a dodge Durango 2009 4.7 that have the ETC light flashing, the engine run but not accelerate, sorry but my english isn´t good....someone could help me sending me the service manual for this?. I´m from Iquique, Chile and here it´s very hard to get a service manual from this Durango. Hello, Looking for technical help on all sorts modifications I plan on doing. I guess the first question I have is who has the best C.A.I. ?, Volant, K & N, or Mopar. I skimmed through some of the threads about this topic buts nothing posted really talked about the pros and cons especially between Volant and K & N. I notice a lot of members went with Volant because it looked good. I checked out the Volant web site and could not find any technical info like how much HP you gain. K & N on the other hand said their Intake will give you an estimated 17 HP gain and had it tested and dyno on a 2012 Dodge Durango. Thanks for the help. The Volant not only looks good and fits good it performs as well. The box is designed to keep most of the heat from the engine bay away from filter. This is what really helps in short drives around town by keeping mostly air from outside the compartment and these Hemi's generate a lot of underhood heat. Please post some pictures of that New D so we can all see it. I own a 1999 Dodge Durango 4WD, Deep Amethyst Pearl, tan leather interior, 5.9 L, NV242HD T-case, 46RH transmission and OE trailer hitch, keeping it stock appearance. The Durango is my DD and it replaced my previous 1998 4.3L Chevrolet Blazer (had it for 1 1/2 years), I really like this Durango and hope I can keep it for a long time. Also own a Black 92 Jeep Cherokee H.O. Limited, a Gun metal gray 2000 4.7L Jeep Grand cherokee (my wife drives this one) and a red 1991 DIY 360ci Pontiac firebird GTA. A Formal Introduction from KA9LRV? PNW introduction and things to do discussion?